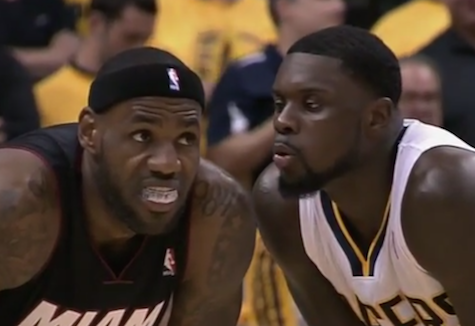 *It may have been hilarious to fans – particularly Indiana Pacers fans – but Lance Stephenson’s antics to get under the skin of Miami Heat forward LeBron James in Wednesday’s Game 5 got him in big trouble with the boss. Pacers president Larry Bird called a meeting with Stephenson prior to Friday’s Game 6, two days after Stephenson was caught blowing in the LeBron’s ear and given his second flopping fine of the Eastern Conference finals. When asked what would have happened had Stephenson blown in Bird’s ear in a playoff game during Bird’s playing days, Stephenson was blunt. Stephenson has drawn more attention for his off-court comments and on-court antics than for his play during the series. In addition to the flopping fines and the ear blowing, Stephenson has gotten involved in protracted trash talking with James and Dwyane Wade. “I’m not talking about Lance Stephenson for the rest of the playoffs,” Chris Bosh, the third part of the star trio in Miami, said Friday. Yet, despite Indiana winning Game 5, Stephenson says he doesn’t think his tactics are even working. This statement, of course, opens another area of wondering about Stephenson’s motivations. 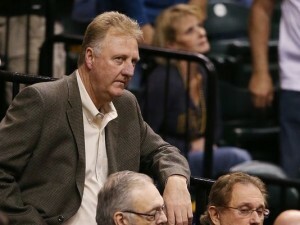 The Pacers, though, are trying to move past all of it as they attempt to win their fourth elimination game of the playoffs. Game 6 tips off tonight at 8:30 on ESPN. The Heat leads the series 3-2. Watch the ear blow and LeBron’s comment about it below.